15 Responses to Would you like a rant with your cheesecake? Great idea, Lau. Thanks for sharing the recipe. I find lemon water a good sub for soft drinks, but easy since I don’t like soft drinks much. On other drinks, I’ve completed subbed out vodka for gin, and life is good! You need to be editor at large at one of those magazines. You’d rock. I’d like to be a *something*-at-large, also a *random word*-ninja. I say eat everything in moderation, there is no substitute for life! Feel like bacon? Substitute with a kilo of prosciutto or just get into a massive pork knuckle covered in crackling. Craving gone! love this post!i have a few kilos to lose too but ill still enjoy eating the actual thing rather han being miserable and unsatisfied over a substitute of it! Sultanas will NEVER be a substitute for M&M’s – I’d rather poke my eyes out with a toothpick! I don’t believe in substitutions either… I recently had to manage my sugar intake (damn gestational diabetes) and in my desperation tried sugar free chocolate. PATHETIC. One bite and I spat it out. I’d rather go without than accept a substitution! Cheesecake looks fabulous. Now I want some. Lucky I can eat sugar again! I hear ya! Everything in moderation and portion sizes. Life’s too short, have that chocolate, or ice cream, or full milk with your coffee. 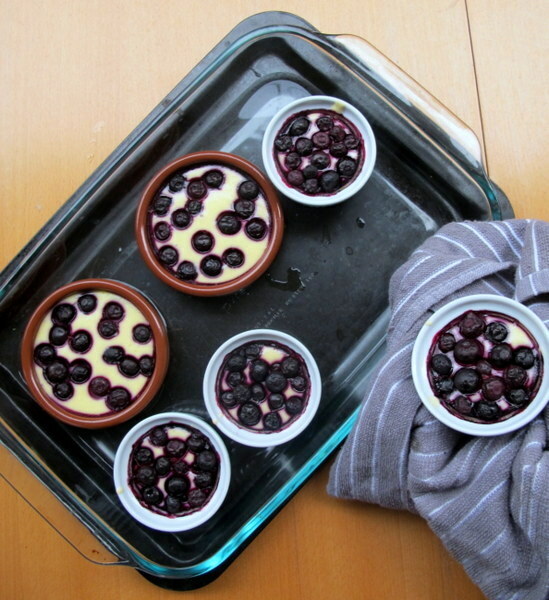 Oh and this cheesecake looks delicious, I may have to take my ramekins out for a spin! There are some substitutions I think work (like replacing eggs with mashed banana in muffins to make them vegan friendly for example) but I completely agree that you can’t say just swap M&Ms with raisins and expect people to buy that! I’m all for educating people about their food choices but at the end of the day all things in moderation should work for most people! All true. Though sometimes I wish I had a better sense of what local fishes work well when I’m looking at recipes from the N Hemisphere. That’s *such* a good idea! Feel like a slosh of malted rice syrup in your camomile tea? Try a triple strength iced mocha instead!